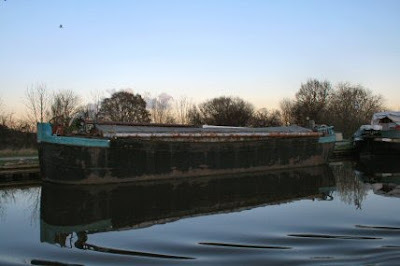 narrowboat_Abigail_Jenna: The Jolly Miller really is! 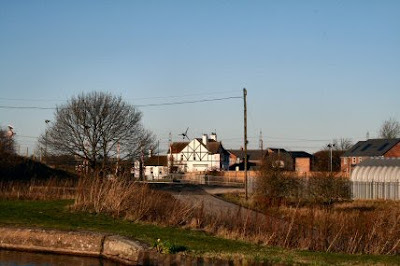 I was dragged kicking and screaming to the Jolly Miller pub last night with and by Tim, Gary and Carina who are on a wide beam and heading for Castleford. OK the décor leaves something to be desired but if you want a welcome from the barman and the locals then this is the place to go if you stop up here. 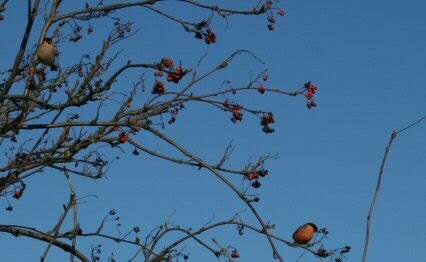 The following morning I looked out of the window and right next to the boat were a pair of Bullfinches enjoying the meal of berries on the trees that line the mooring. Through the lock at Whiteley searched for the water point for Tim. There is one and it is situated just on the stern of the boat on the left. It was in use so we will stop again later on. 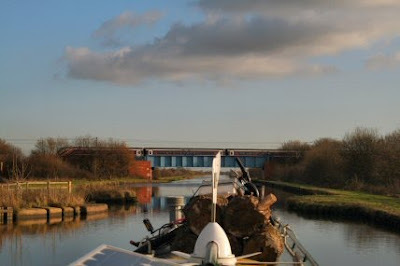 On the way to Pollington Lock we go under the East Coast Main line. Next stop York. Under Pollington Bridge in into the lock. An odd set up of ponds around the lock. Lots of manoeuvres to get in place to moor up. 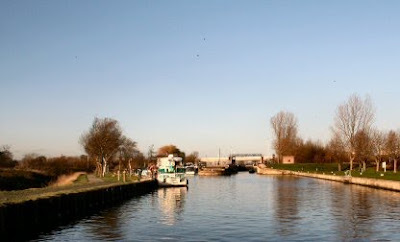 Below the lock is an over flow that needs some watching especially if you are going to use the water point next to it. By now the sun was hiding behind the clouds coming from the west and the temperature dropped several degrees. Going this way I was able to see the name of the old barge next to Sectan . It is the Claxby or at least that's what is says on the hold. The last part of the trip was a lot more pleasurable than the way up. 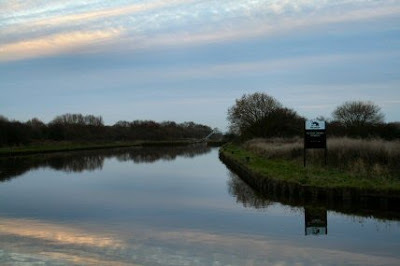 The canal was, as you can see, like a mirror. 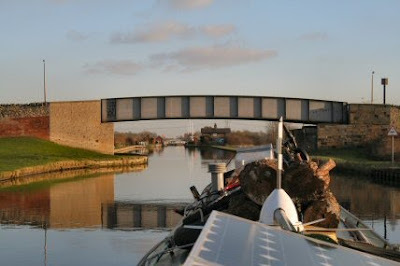 This is the entrance to the New Junction and is the mooring for tonight. Plenty of bird life around today. The usual cormorant but I also saw a Green Woodpecker and a Little Grebe.